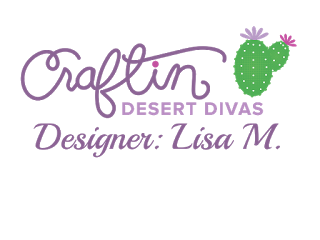 Craftin Desert Divas Blog: Boo To You! Hi and welcome, everyone! 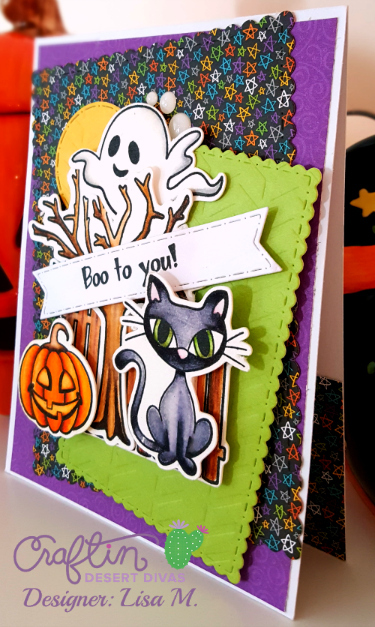 Lisa, from The Relativity of Paper, sharing another Halloween card featuring the Fright Night Stamps and Build A Scene Stamps. As promised in my previous daily post, I've piled it on again. Adding fun elements is so easy using the Build A Scene Stamp Sets and the coordinating SVG Outlines. The tree and fence are elements from the Build A Scene Stamp Set. 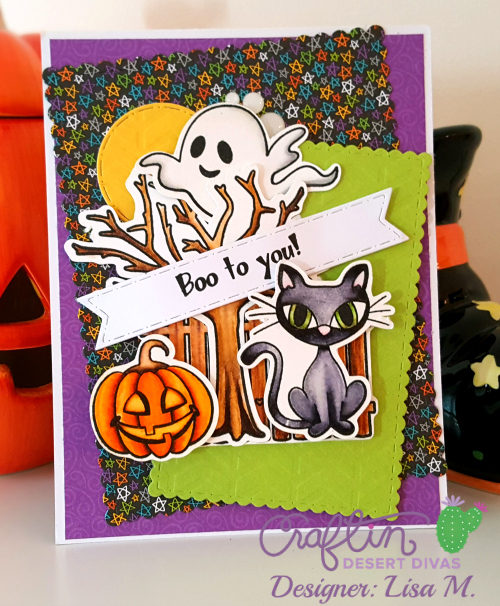 The ghost, pumpkin, and cat are from the Fright Night Stamp set. The sentiment is from Ghostly Greetings Stamps.